Dr. Martin attended U.C. Davis where he devoted himself to biology, researching epidemiology, and studying smoking impacts on large populations. In 1997, he graduated with high honors with a B.S. in biology. Dr. Martin pursued an early interest in medicine and dentistry, attending the Arthur A. Dugoni University of the Pacific School of Dentistry. During Dental School, he was active in research, community outreach, and leadership. He had the honor of becoming senior class president, and was awarded the Dean’s scholarship and CDA scholarship. He graduated with honors in 2005. Dr. Martin became enchanted with the challenge and learning opportunities in oral and maxillofacial surgery and was accepted into the Highland Hospital residency program. He sharpened his skills in the broad scope of oral surgery, including dental implant treatment, anesthesia, dentoalveolar surgery, pathology, maxillofacial injuries, jaw corrective surgery, and TMJ surgery and management. 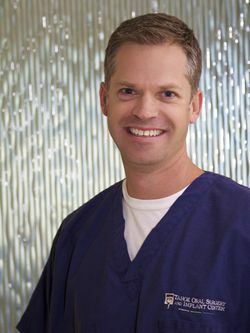 In 2010, Dr. Martin opened his practice, Tahoe Oral Surgery and Implant Center, in Truckee and South Lake Tahoe, California, where he strives to provide his patients with excellent oral surgery treatment in a caring and comfortable environment. Since then, Dr. Martin has earned the distinguished recognition as a Diplomate of the American Board of Oral and Maxillofacial Surgery. 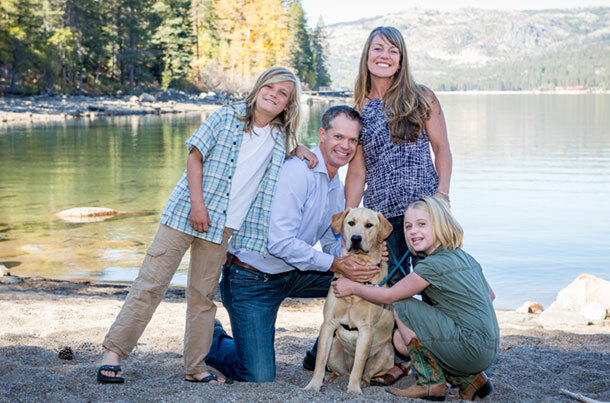 Dr. Dan Martin’s dream of living and serving Tahoe came true after graduation and moving to Truckee. Dr. Martin looks forward to raising his family, playing outside, and growing his practice in the years to come. Click here to download Dr. Martin’s official Curriculum Vitae.